RNA-binding protein. 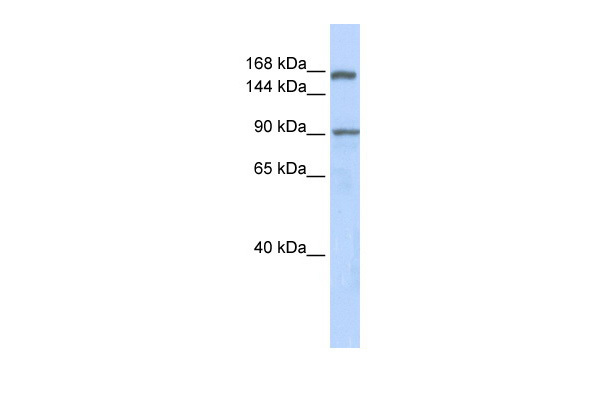 Might be involved in alternative splicing regulation through an interaction with G-quartet RNA structure. Nucleus speckle. Note: When splicing is inhibited, accumulates in enlarged speckles. Mental retardation, X-linked, associated with fragile site FRAXE (MRFRAXE) [MIM:309548]: A form of mild to moderate mental retardation associated with learning difficulties, communication deficits, attention problems, hyperactivity, and autistic behavior. 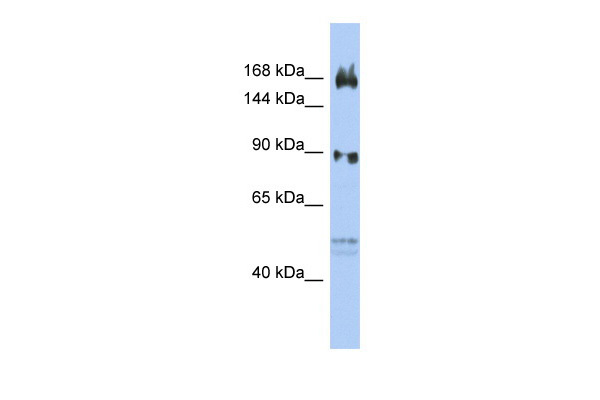 It is associated with a fragile site on chromosome Xq28. Mental retardation is characterized by significantly below average general intellectual functioning associated with impairments in adaptive behavior and manifested during the developmental period. Note: The disease is caused by mutations affecting the gene represented in this entry. 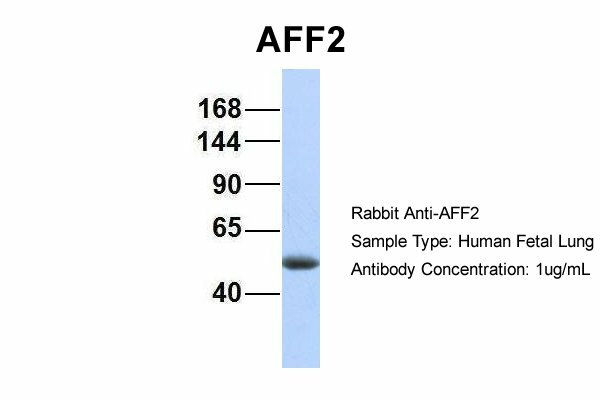 It is caused either by silencing of the AFF2 gene as a consequence of a CCG expansion located upstream of this gene or by deletion within the gene. 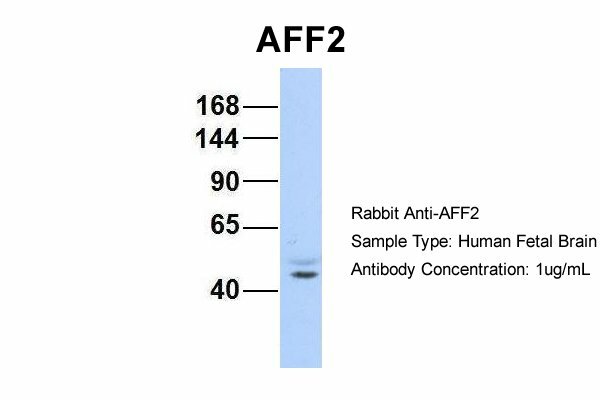 Loss of AFF2 expression is correlated with FRAXE CCGN expansion. 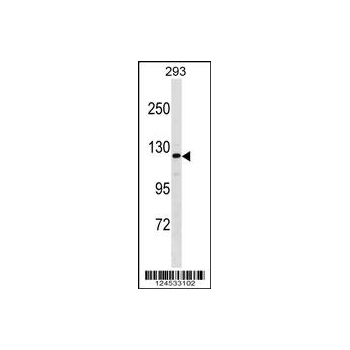 Normal individuals have 6-35 copies of the repeat, whereas cytogenetically positive, developmentally delayed males have more than 200 copies and show methylation of the associated CPG island.